Let me introduce you to Polette.com. They sell sunglasses for woman and men, accessories and also normal glasses with lenses for a very cheap price. The prices go from $9.99 to $49.99 for frames and $9.99 to $89.99 for lenses. They offer a huge range of quality single-vision, progressive and transitional lenses for every possible corrections. All of their lenses are anti-reflective and anti-scratching. Polette lies on a simple yet groundbreaking idea: being the only intermediate between the factory and the customer. The frames and lenses are provided straight from their workshops, there is no stock nor intermediates to high margins. Normally when you order something online for a cheaper price, you notice that the quality is not so good, but at polette.com you can't see the difference with more expensive stuff. 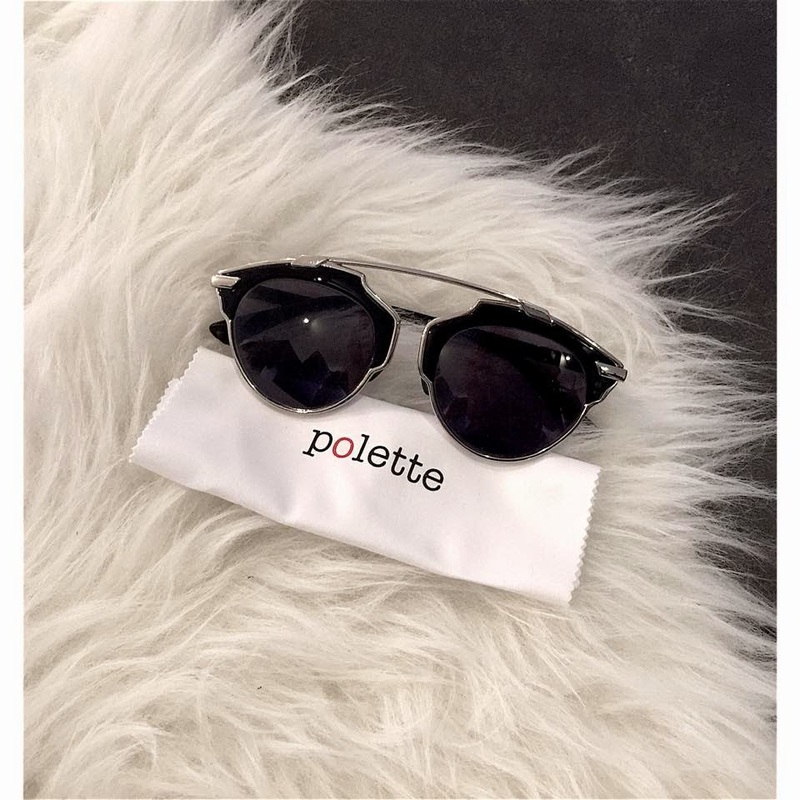 So if you are looking for quality and a good price, Polette.com is the place to look for! The website is a journey through the highlights of the eyewear, with retro and vintage designs, from classic to eccentric. They offer so many different models, you can stay here for hours looking for the perfect frame. What is also very nice on the webshop, you can have a 'virtual try on'. You choose a frame, take a picture with your webcam and try on the glasses! My sunglasses arrived today and I'm so happy with it.